Nicole Holland has one goal: to help established business owners and entrepreneurs make more money fast. How? By increasing their visibility, credibility, and profitability. Nicole is a first-rate podcaster, publicist, marketing strategist, and master connector of incredible humans. She has built her business by building authentic relationships. Nicole strategically teaches, and equips other entrepreneurs to do the same. 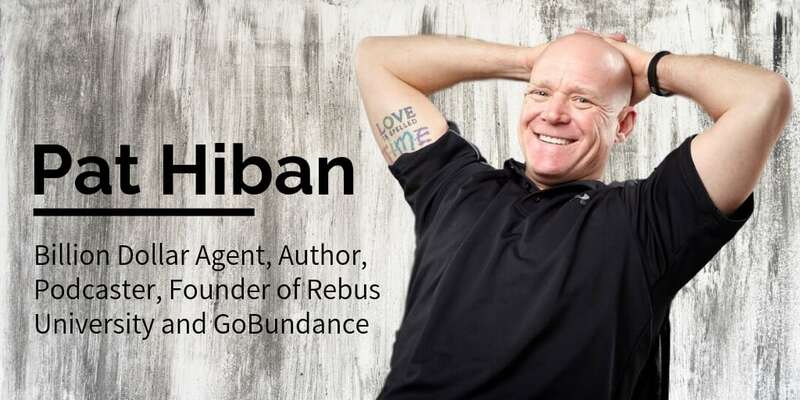 Because building powerful, vibrant connections accelerates your relationship capital, it’s key to your business and financial success. That’s why she now uses her podcast, masterclasses, dinners, summits, a podcast guesting agency, and one-on-one work with clients to help others build authentic relationships. We often talk about your thinking in your life, business, and financial life. Choosing the right mindset, and then lining up your actions with your mindset will lead you to flourish. That’s how you’ll create a life you love and truly enjoy it. You’ll also be able to recalibrate your business to become a self-sustaining, cash-flow-producing asset. Remember that wealth creation rests on the governing principle that dollars follow value? 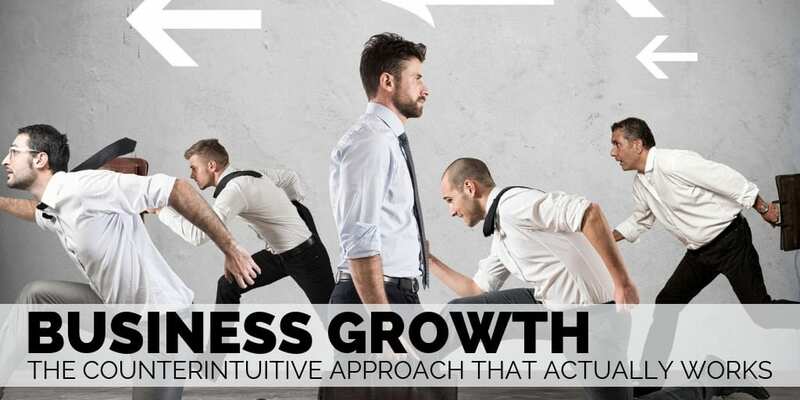 Today, we’ll unpack strategies to increase the value you provide through your business. We’ll take this entrepreneurial thinking down into the tactical. We’ll discuss ways to expand your relationships, up level your impact and influence, increase your contribution, and build a platform to serve more people with more value. As important as cultivating the right mindset and investing in your business are, they are just one step in a greater journey of financial freedom. Our 3-step Entrepreneur’s Cash Flow System first helps you keep more of the money you make. We do this through tax planning, debt restructuring, cash flow awareness, and alternative savings strategies. This step frees up and increases your cash flow, so you have more to invest. Then, we help you protect your money with insurance, legal protection, and privatized banking. Finally, you’ll put your money to work and get it to make more. 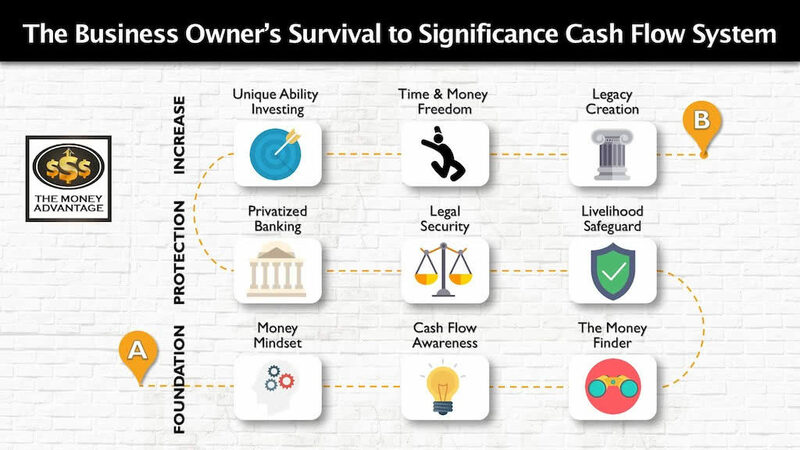 You increase your cash flow by investing in cash-flowing assets like your business and real estate to build time and money freedom and leave a rich legacy. After spending the majority of her career working with at-risk children and youth in roles ranging from advisor and coach to crisis support worker, to foster parent, to correctional officer, Nicole Holland decided to cut the cord and quit her “stable” government job at the end of 2014 after becoming disillusioned and frustrated working in the bureaucracy. Today Nicole is the known as the foremost expert on “Podcast Guesting.” She has been recognized in the Huffington Post as one of “50 Must-Follow Women Entrepreneurs in 2017”, interviewed on over 100 trending podcasts, and featured in well-respected publications such as Forbes and Entrepreneur Magazines. Nicole Holland’s entrepreneurial roots that started with her love of making money, making people happy, and feeding her creativity. The importance of integrity, alignment, and keeping commitments to yourself. How going inward to find out what feels really good and easy for you is a key to discovering how you best serve others. Nicole’s frustration with programs that overwhelm, pitch, and promise results that led her to create the Business Building Rockstar Summit. 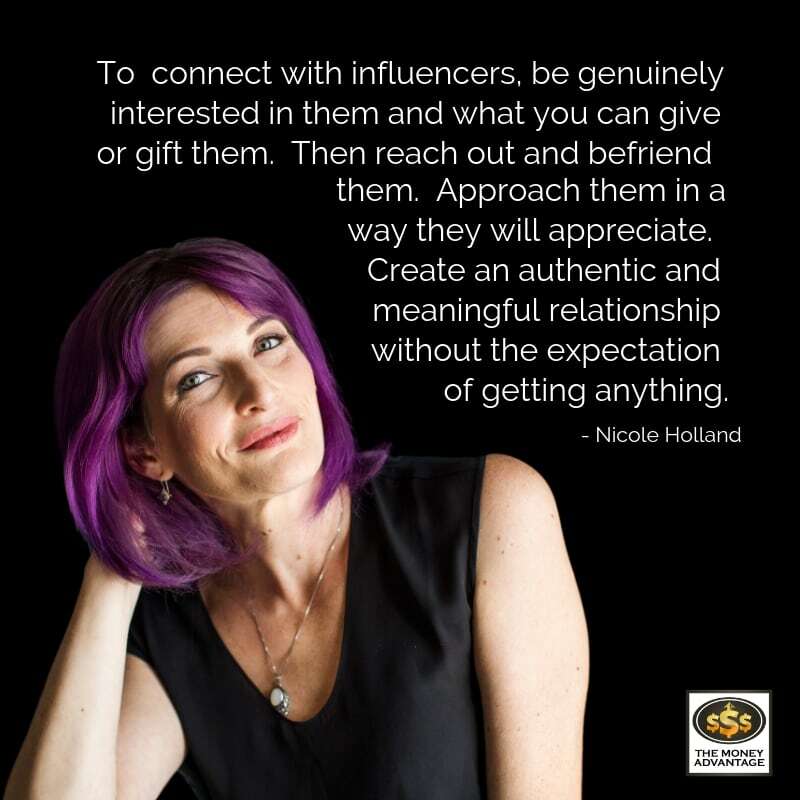 How Nicole Holland overcame having no credibility to connect with top influencers. Tips for connecting with influencers: Ask yourself who you need to know to accomplish your goal. Start with authenticity. Be genuinely interested in them and what you can give and gift them. Then reach out and befriend those people. Create an authentic and meaningful relationship without the expectation of getting anything. Approach them in a way they will appreciate. Purchase their programs to get on their radar. Relationships are not transactional. Instead, they’re about getting to know someone and discovering how you can enjoy life together. Why every relationship must be a win-win-win: a win for you, me, and them. 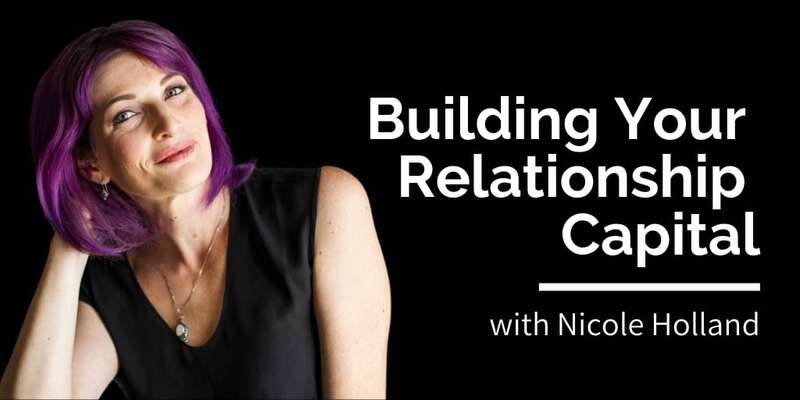 How Nicole works as a coach and advocate to help her clients build relationships with connectors, launch and grow podcasts, get booked as guests on highly-targeted podcasts, position themselves as an industry celebrity, and design irresistible service packages. To connect with Nicole Holland, visit https://thenicoleholland.com. From there, check out her podcast, The Nicole Holland Show, and follow her on Twitter, Facebook, Instagram, and LinkedIn. Also, join the free Facebook group Leads on Demand for Nicole’s tips and takeaways in getting the leads you need in fun and meaningful ways.